Online satellites to PokerStars Championship Panama continue to run until March 5. including a special $11 satellite running on February 26 giving away five packages worth more than $40,000 in total. Seats to the $930 Main Event and packages worth $1,520 can be won via a wide range of satellites at PokerStars from just $0.33 to $215. Packages include a Main Event buy-in worth $930, six nights’ accommodation at the Sheraton São Paulo WTC Hotel with free internet and breakfast from March 23-29, and $590 spending money. Earlier this month in Uruguay, Akkari made his first appearance on a BSOP Main Event final table, having narrowly missed out a few times before, at Punta del Este. The Team PokerStars Pro finished in seventh place when his AQ lost out to pocket threes leaving him with $15,340 for his efforts. He said: “I felt really proud to make it to the final table of BSOP Uruguay, especially as BSOP is the biggest tournament in Latin America and brings great players to the felt. Playing in BSOP is like playing at the Maracanã Stadium for me. In São Paulo, with my supporters, I’ll take it down and keep the BSOP São Paulo title at home!" 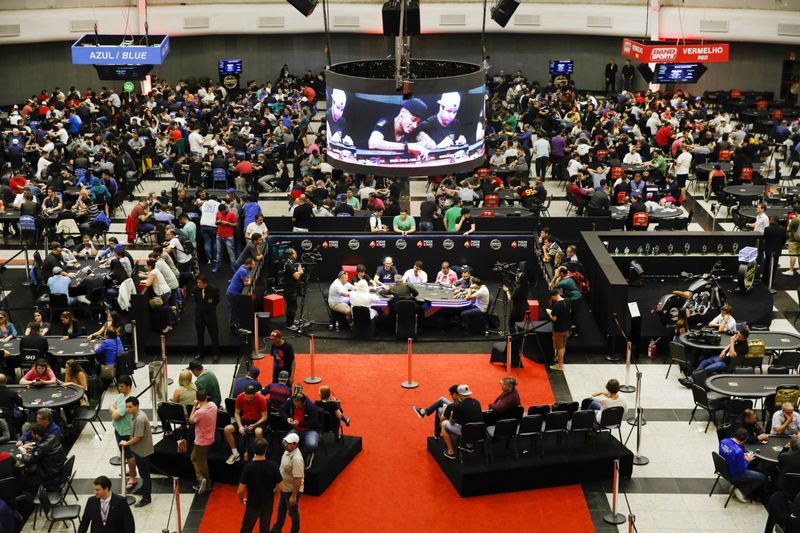 BSOP returns to São Paulo in July before heading to Foz Do Iguazu in August and back to São Paulo for the BSOP Millions in November offering plenty more opportunity for poker action in 2017. In addition to qualifying for the BSOP and PokerStars Championship Panama live events, players have been converting online poker chips into solid gold Special Edition poker chips that commemorate Brazilian football hero Neymar Jr’s Olympic gold medal in the Rio games. More than 360 gold chips have been won via limted edition Spin & Go tournaments so far, to the value of more than $290,000. Players who have won a unique piece of PokerStars memorabilia have until February 28 to redeem their gold poker chips. Please note this is a corrected press release. The correction was based on satellites to PokerStars Championship Panama which are still running until March 5, instead of Spin & Go qualifying tournaments which ended on February 13.